Designed for Unified Communications business professionals on the move using softphone via PC, mobile phone or tablet. Users who travel light and demand excellent conference sound will appreciate its user-friendly functionality and exceptional design. 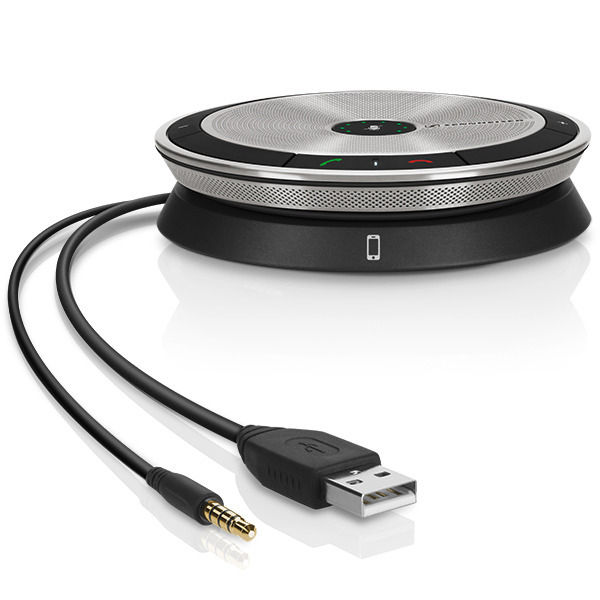 A premium portable speakerphone compatible with major UC providers and softphone brands such as Skype for Business, Avaya, Cisco and IBM.